Well this October here in Louisiana got off to a rough start with unseasonably warm temps but things are on track now. 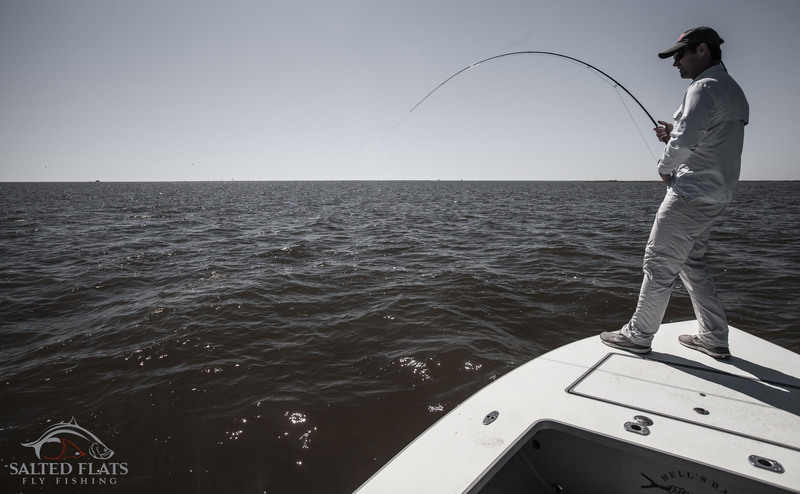 The schools of Bull Redfish have moved into the marsh allowing Fly Fisherman the opportunity to sight fish them with ease. The last few weeks of October were awesome! The waters have cleared due to a few cold fronts. We have enjoyed some high pressure systems with little to no wind. Poppers were the fly of choice in October. It is November 2nd now and as everyone knows the fall season is not to be missed. I have November 17-18 & 24-26 available due to a last minute cancelation. If your looking for a last minute window it just opened up! Fall & Winter Fly Fishing in Louisiana are the best times to be here hands down for the big fish. There are still dates for my January – April calendar.